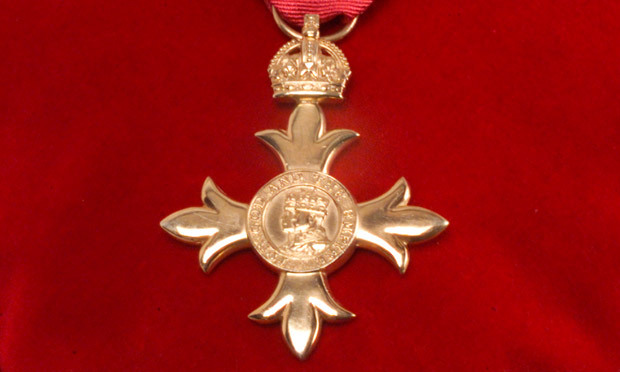 The New Year’s Honours List 2014, released on 30 December 2013, included nine honours for dance professionals, championing their work for the arts sector. Dance UK runs the dance sector’s Honours Advisory Committee which is a group of dance professionals who volunteer their time and expertise to ensure dance professionals are regularly nominated from across the rich and diverse world of dance. Teachers, dancers, managers and choreographers can all be nominated, recognised for their hard work in all dance forms. Choreographer and former dancer Gillian Lynne CBE was made a Dame as part of the New Year’s Honours List for services to dance and musical theatre, acknowledging her dedication to the industry which spans decades. Dancer and choreographer Carlos Acosta, received a CBE for services to ballet, recognising his work in the dance world. Assis Carreiro, former Director of DanceEast in Ipswich, was awarded an MBE for services to dance. Assis is now Artistic Director of Royal Ballet of Flanders. In addition, Liv Lorent, founder and Artistic Director of balletLORENT based in Newcastle, received an MBE for services to dance. Other honourees included Lady Patricia Marina Hobson MBE awarded an OBE for services to ballet & philanthropy, Margaret Jaffe founder of Northern Dance Centre awarded the British Empire Medal for services to dance, and Jane Pritchard, Curator of Dance, Theatre and Performance Collections at the Victoria and Albert Museum: Jane was awarded an MBE for services to the arts. Jane curated the Diaghilev and the Ballets Russes exhibition at the museum and was archivist for both English National Ballet and Rambert. The Mariinsky Ballet has announced plans for its London season in the summer of 2014: the season will run from 28 July to 14 August at the Royal Opera House, opening with the classic tale Romeo and Juliet. The company will also dance a triple bill of The Firebird, Marguerite and Armand and Concerto DSCH, Swan Lake and a George Balanchine double bill of A Midsummer Night’s Dream – the first time the company has danced this work in the UK – and Apollo. The season will end with the London premiere of Alexei Ratmansky’s Cinderella, a production eagerly awaited by London audiences. The Mariinsky Ballet is a classical ballet company based at the Mariinsky Theatre in Saint Petersburg, Russia. Founded in the 18th century and originally known as the Imperial Russian Ballet, the Mariinsky Ballet is one of the world’s leading ballet companies. Internationally, the Mariinsky Ballet is most commonly known by its former Soviet name the Kirov Ballet; the Mariinsky Ballet is the parent company of the Vaganova Ballet Academy, a leading international ballet school which has recently been subject to employment scandals. The Imperial Theatre School as it was originally known, was established in 1738 and was the predecessor of today’s Vaganova Ballet Academy to create a school which would train young dancers to form the first Russian ballet company. The first group of students went on to form what would become the predecessor of today’s Mariinsky Ballet. In the late 18th and early 19th centuries, the Imperial Russian Ballet soon rose to prominence and would employ some of the most influential and famous names in ballet history including Marie Taglioni, Enrico Cecchetti, Jules Perrot, and Carlotta Grisi. 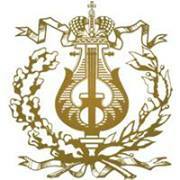 Despite later name changes and pressures of the Russian revolution, the present day Mariinsky Ballet is still linked to the school, which is now known as the Vaganova Ballet Academy. John Travis, the director of the British Ballet Organisation, recently announced significant news which will enable the BBO to develop, secure its future and enhance the support and service provided to its members and the dance profession. It’s current home, Woolborough House, has been a much loved home for the organisation; however the BBO has outgrown the building and it is no longer fit for purpose. After a lengthy and complex process the sale of Woolborough House has been agreed and will be completed early in 2014. Established in 1930, the British Ballet Organization is proud of its heritage and continues in the tradition of its famous founders: the name Espinosa is recognised worldwide as one of the most important influences in the development of dance and the training of dancers. Woolborough House in London was the Espinosa family home from 1913. On the formation of the BBO, it became and remains today the Headquarters of the organisation. Many famous students studied with Espinosa at Woolborough House, including Phyllis Bedells and Ninette de Valois. In 1932 a studio was built alongside the house which has continued to host classes and BBO examinations and provides rehearsal space for many leading dance companies and professional artists. The exciting opportunity for BBO has become possible with the support of the Espinosa Memorial Fund, and will allow the BBO to retain a freehold headquarters in central London as a long term safeguard for future generations.Their support allows the organisation to fully utilise the legacy of Edouard Espinosa and the family. The BBO Board and the Chief Executive Officer have been working with the EMF and the Trustees of Woolborough House to formulate a development strategy, which reflects the charitable objectives of the organisation and the values that have underpinned the BBO throughout its history. During this process the Trustees have identified some exciting opportunities that will ensure BBO retains and enhances its position as a major teaching and training organisation both regionally and internationally. Johan Kobborg has recently been appointed as director of the National Romanian Ballet, taking up his new post in February 2014. This announcement came after the first night of Kobborg’s production of La Sylphide for the company, which opened on 7 December, meaning Kobborg will be at the helm of the company, steering it in an exciting direction. Both Kobborg and his fiancé Romanian ballerina Alina Cojocaru, who danced the first night La Sylphide with The Royal Ballet’s Steven McRae, left The Royal Ballet as Principals this summer in order to pursue other artistic challenges: Cojucaru joined English National Ballet and has since danced Principal roles in Le Corsair and The Nutcracker. 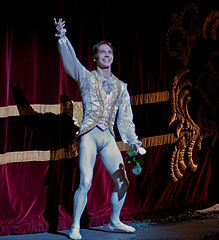 Born and trained in Denmark, Kobborg joined The Royal Ballet in 1999, along with Cojucaru, where they danced throughout the classical, Ashton and MacMillan repertoire and in many new ballets. The dancers gave many memorable performances as members of The Royal Ballet, both at the Royal Opera House and around the world. Over the past ten years, their unique partnership has developed and the couple’s last UK performance as members of The Royal Ballet was in Kenneth MacMillan’s Mayerling on 5 June. In July they danced on tour with the company in Tokyo. Kobborg has praised the National Romanian Ballet company, saying on Twitter that “Romanian Ballet has more natural born Sylphs than any other company I ever worked with”; his directing of the company looks set to hold lots in store for the lucky dancers. In recent years, Cojocaru has staged galas to raise money for Romanian Hospices of Hope and she has also given the Romanian National Ballet 50% of its annual supply of pointe shoes. In the past Kobborg has also worked around the world as a producer and choreographer, staging Bournonville’s La Sylphide and Napoli and creating his own ballets. Darlington Borough Council has announced it intends to use £600,000 of ring-fenced funds from the future sale of Darlington Arts Centre to help create a flagship children’s theatre which will become the first permanent performance space for children’s touring company Theatre Hullabaloo. The company will bid for £1.5 million of Arts Council England capital money for the project and the local authority will provide its own cash as match-funding if the bid is successful. The proposed theatre would include a 150-seat studio theatre space for professional performances by Theatre Hullabaloo, as well as rehearsal areas and a cafe. Other arts organisations and community groups would be able to stage works and use the space as well. While Darlington Borough Council would be unable to subsidise the new venue, its proposal would entail running the building and sharing management costs with the Darlington Civic Centre while Theatre Hullabaloo would programme the space. The council-owned Darlington Arts Centre, which was the previous base for Theatre Hullabaloo as well as other arts groups, closed in July 2012. The new venue will not replace the Darlington Arts Centre, but will form an important part of a proposed cultural quarter for the town that would also have national significance as a small theatre space for the town. The proposal is for the venue to embody the values of the company which are that children should not be compromised as an audience by having to be secondary users in an adult-designed space. The venue will be a children-centred space that would allow the company to create and perform its own work and create a hub for artists developing their own practice in theatre for young audiences. South East London’s Deptford has a secret weapon in the form of The Albany, the Southbank Centre for non-central Londoners. The arts venue is also a meeting and training place, a social place, a work place and a performance space, in addition to being a cafe and a place for young children. The venue has had a longstanding and successful relationship with the Deptford market just outside its doors on Deptford High Street, mixing its cultural vibrancy with the theatres. The Albany has recently launched a scheme with has integrated itself straight into Deptford market in the form of a pop-up stand offering a limited number of £1 tickets to events and performances at The Albany. Tickets are purchased first come first served, offering local residents and shoppers the chance to engage with the arts cheaply, and perhaps even take a risk and attend something they may not have considered spending money on a ticket for. Encouraging audiences to see different art forms broadens their appreciation and knowledge of the art scene, and London’s in particular. 10 were available for each show, and according to the theatre 182 were sold, with an estimated 70% of those being first time bookers. At £1 per ticket this isn’t a money making exercise yet the level of first time buyer response is good, along with the promise of repeat booking at the full price of £6. The Albany’s stall is now a regular feature of the market. It enables members of the theatre team to interact with audience members one to one and allows time for genuine relationships to be created. Freeing cheap tickets to audiences is a fantastic incentive for those who don’t attend performances or arts events regularly to support their local arts venue. 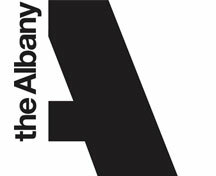 The Albany offers a wide variety of performances, including those specifically for children and young people. The Albany is also a central place to meet, discuss and share – as a mini Southbank Centre – offering the residents of Deptford an area which is theirs for the community, just outside the expense and bustle of central London. Northern Ballet has announced plans to take its Academy Open Days on the road to Hull, Doncaster and Harrogate in early 2014 in a bid to find Yorkshire’s most promising young dance talent. The open days are a chance for 9–12 year olds, with and without dance experience, to find out more about the training programmes, technique and auditions. The free Open Days will take place at Hull College (19 January), Cast in Doncaster (26 January) and Harrogate’s Ashville College (2 February). The Academy of Northern Ballet will also host an Open Day at its home in Leeds on Sunday 16 February for prospective students aged 9–15 years, including a dedicated session for boys. Following the open days, preliminary auditions for all courses will take place on Friday 28 February and Sunday 2 March. Applications should be submitted by Thursday 20 February. 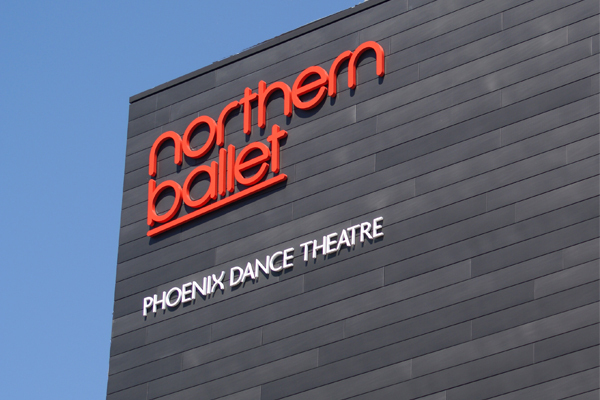 The Academy of Northern Ballet is the official school of Leeds-based Northern Ballet, and specialises in offering a holistic approach to teaching, nurturing and inspiring the professional dancers of the future. As the only recognised Centre for Advanced Training (CAT) in the UK specialising in Classical Ballet, Northern Ballet Academy is hosting Open Days to entice young dancers from across Yorkshire to audition for its professional CAT training programme which will celebrate its 10th anniversary in 2014. Graduates from Northern Ballet’s CAT programme have gone on to full-time vocational training at top training schools including the Royal Ballet Upper School, English National Ballet School and Central School of Ballet. Students benefit from teaching methods developed by Northern Ballet’s renowned Ballet Mistress which focuses on developing technique and ensuring that students have the solid foundation required to build a long and rewarding career in dance. The organisation is committed to nurturing the physical and emotional wellbeing of each student in an atmosphere that centres on individual learning and professionalism. With injuries perhaps the most feared aspect of a performer’s life, it is important that your diet is aiding recovery, aside from other treatments you may be using such as ice, physiotherapy and rest. Ensuring you are providing your body with good nutrition will reduce recovery times, which is paramount for getting back in the studio. It is said that there are three key nutrients to get you back on top form. Protein is essential for both building and healing muscle, in addition to repairing bones and improving muscle contraction. Despite this, too much protein can be detrimental; it is important to eat protein intelligently in order to maximise its impact, which does not mean simply eating more protein. Many dancers already consume enough, so it is perhaps best to eat small amounts of high-quality protein with each meal for rebuilding tissue, such as yogurt, cheese, lean meat, beans, rice, quinoa, nuts and seeds. Too much protein forces the body to release calcium from the bones to balance it, which could slow recovery time. Dancers must also get enough Vitamin D, due to the fact they spend long hours inside. Calcium is another vitamin that dancers tend to not get much of, both of which are vital for the repairing of stress fractures, for example. Vitamin D allows bones to absorb calcium and use it to repair stresses, hairline fractures and breaks: it also strengthens the immune system and helps reduce inflammation throughout the body. Just 15 minutes of sun exposure a day, even when it’s overcast outside, can help increase your levels for better healing. Other sources of vitamin D include yoghurt, fortified milk, tuna, salmon, and the yolks of eggs. Vitamin C is also a great healer, from rebuilding ligaments to repairing blisters, however an excess amount becomes similar to excess protein. Because vitamin C is acidic the body will use calcium to neutralise the large amounts found in supplements, causing a weakening of the bones. The daily requirement is just 45–100 milligrams, which is around two oranges. 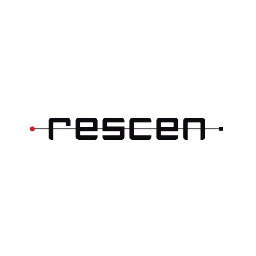 Early November saw the launch of a new strand of ResCen, the Research Centre of Middlesex University. This strand is dedicated to the reaching and works of Robert Cohan, a dancer with the Martha Graham Dance Company and now a teacher and choreographer in his own right. Cohan went on to establish The Place, London, with Robin Howard, and London Contemporary Dance Theatre, bringing a specific style of contemporary dance to the UK. The students at Middlesex University are taught the Cohan method of the Graham technique by Anne Donnelly, a student descendant, passed down from teacher to student to teacher again, creating a legacy which is both complemented and supported by ResCen. The Cohan method does not differ widely from pure Graham technique; the principles of movement remain the same, just with the additions of Cohan’s profound teaching method and incorporation of the body and mind. Robert Cohan, is the founding artistic director of The Place alongside Robin Howard, who financed the years following The Place’s inception. It was born from the journey of the Martha Graham technique from America to London by Cohan, seeing his work and legacy documented in by his colleagues and students to preserve his teaching method and also include interviews about his ethos and various works. Now The Place is home to many contemporary and jazz classes, alongside the Richard Alston Dance Company and London Contemporary Dance School, no longer London Contemporary Dance Theatre which became the recipient company of London Contemporary Dance School students. The Place offers termly classes in techniques such as Release, Cunningham, Limón and Graham, alongside some ballet and jazz.